Lauren Whitehead is a writer, performer and Master of Fine Arts recipient in Dramaturgy from Columbia University where she was a Schubert Presidential Fellow and an Undergraduate Writing Teaching Fellow. Lauren has written, composed and performed two one-woman musicals. The first, Written in Blues, was presented in the Afro Solo Festival, The Left Coast Leaning Festival at Yerba Buena Center for the Arts and at DiverseWorks in Houston, Tx. An excerpt of her second one woman show, A Tribe Called Blessed, debuted at the Women Center Stage Festival (Lynn Redgrave Theater) and was featured at The Nuyorican Poets Cafe. Her first full length play, stunning, still was read at Naked Angels 1st Mondays Play Reading Series after a residency at Vineyard Arts Project and her second full length work, American Courage, was selected for a workshop with Crowded Outlet and will have a reading at Judson Memorial Church in January of 2018. This year, Virtuosically Invisible, her non-fiction prose manuscript was runner up in a book prized judged by Maggie Nelson and her poems have been published in Apogee, Winter Tangerine and Union Station Magazine. Lauren has performed her work in various venues around the country including The Sundance Film Festival and The Kennedy Center for Performing Arts. Lauren was featured on HBO’s documentary, Brave New Voices and this fall, she will originate the role of Un/Sung in Opera Philadelphia’s production of We Shall Not be Moved, a hybrid opera written by Marc Bamuthi Joseph and directed by Bill T. Jones. Prior to that, she played the role of “Zillah” in A Bright Room Called Day (Connelly Theater). As a dramaturg, Lauren has worked in various capacities both inside and outside of the theater. She recently directed How Bodies Reclaim Light (New York Live Arts) and was playwright/adapter of Three Sisters: Tulsa 1921 (The Secret Theater). 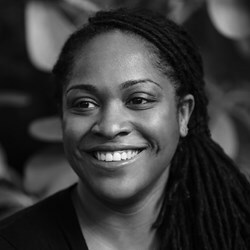 She was the assistant director of Paradox of the Urban Cliche by Craig “muMs” Grant, the festival dramaturg for The Fire This Time Festival and co-curator of the Conscious Language Festival at The Wild Project. In addition to touring with The Dialogue Arts Project, an organization that uses the arts to facilitate difficult conversations about social identity, Lauren has given a number of lectures and workshops across the country. Most recently, Lauren worked as a research assistant to Oskar Eusits at New York University in partnership with The Public Theater. Currently, Lauren teaches an Advanced Playwriting Lab at The New School and she facilitates a poetry and performance workshop at Juilliard.